Coincidentally, two of the best documentaries I’ve seen lately focus on women who spent a good part, if not all, of their creative lives hiding in plain sight. Director Morgan Neville’s 20 Feet from Stardom capped a year of accolades with a well-deserved Academy Award® for Best Feature Documentary. The film shines a long overdue light on the talented singers (predominantly women) who back up star performers. While Darlene Love may be the most recognizable name here, she is only one of several equally gifted vocal stylists, including Merry Clayton, Lisa Fischer, Judith Hill, the Waters Family and Tata Vega, who recap their backstories behind the scenes in the shadow of high-profile stars. All are music industry veterans. 20 Feet from Stardom is an entertaining eye-opener that meshes reflections on the singers’ career paths, the rewards and drawbacks of their musical niche, and their resilience and triumphs as they dodged exploitation and forged solo acts. Once introduced to these engaging artists, you’ll not soon forget them or their journeys, and you’ll be encouraged to follow them as they continue to build their solo and recording careers. 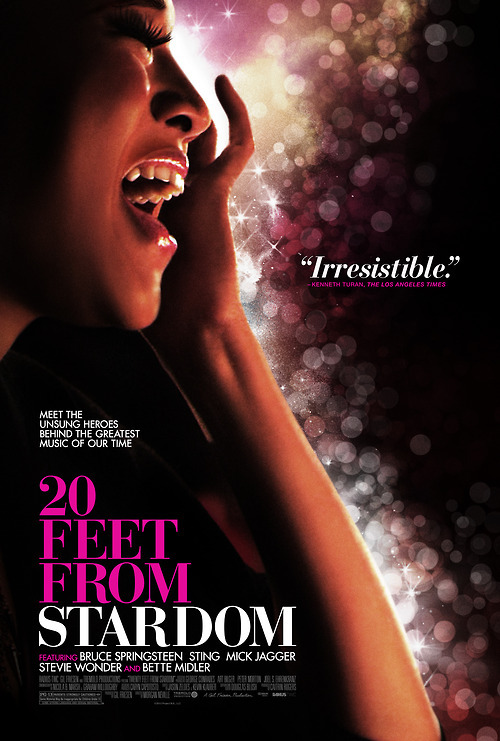 Thanks to director Morgan Neville and his talented team, these artists, who spent the bulk of their careers “20 feet from stardom,” have been given a chance to shine in their own light while they are still vital performers. 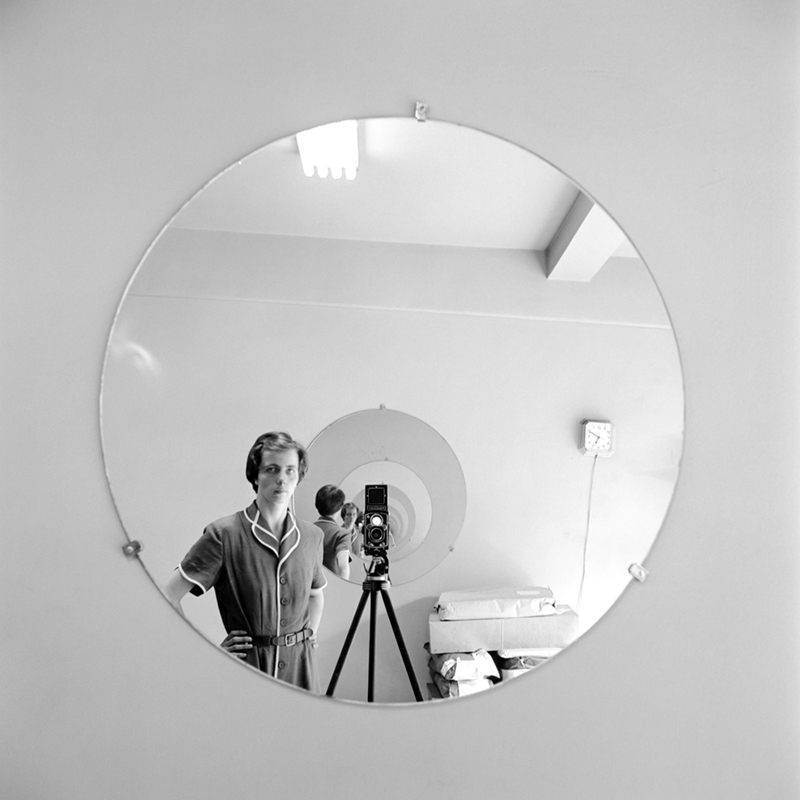 Unfortunately, in her lifetime, street photographer Vivian Maier (1926-2009) never had that chance. Enter John Maloof, an enterprising young historian and avid auction buff, who became her champion. While it’s questionable whether Vivian, an eccentric loner, would have agreed to Maloof’s work on her behalf, it’s clear that without his dauntless sleuthing, the mystery surrounding Vivian’s unconventional life and her prolific body of work would have been lost forever. Vivian Maier. 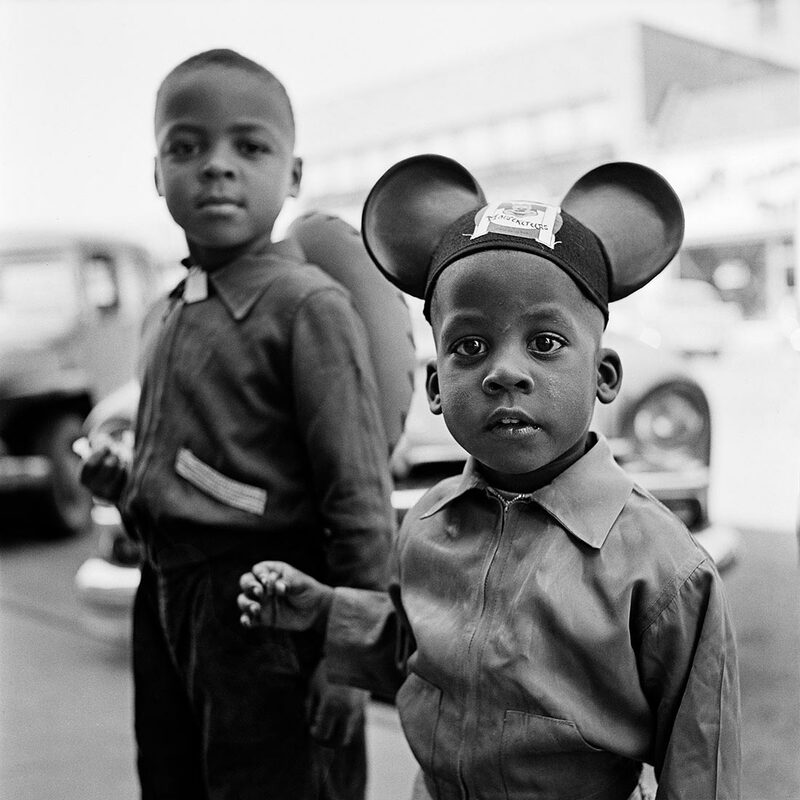 c Vivian Maier/Maloof Collection. Maloof tells his story and hers in Finding Vivian Maier, a riveting new documentary he directed and produced with Charlie Siskel (critic Gene Siskel’s nephew). Vivian spent most of her working life as a nanny for wealthy families. She was a world-traveller with no apparent friends or family ties and, though born in New York, spoke with a vaguely French-Germanic accent. And despite the ever-present Rolleiflex strapped around her neck, she never discussed or showed her photographs to anyone and hid the negatives, contact sheets and undeveloped rolls of film in storage lockers. But thanks to a lucky twist of fate (at auction, for less than $400, John Maloof acquired a trunk full of negatives by an unknown photographer) Vivian’s work was discovered and her life and photographic legacy became Maloof’s as well. The woman who died a penniless pack rat, scavenging food from dumpsters, is now recognized as one of the greatest photographers of the mid-20th century. It’s a story made all the more remarkable by Maloof’s dogged efforts to uncover Vivian’s backstory, scan and print her negatives, and archive and promote her photographs to galleries and museums both here and abroad. New York City, circa 1955. ©Vivian Maier/Maloof Collection. Although this is his story as well, John Maloof, to his credit, is never an intrusive presence in the film. By subsequently piecing together Vivian’s life story via her personal papers and her obsessively hoarded negatives, 8mm and 16mm film footage and audiotapes, Maloof was able to follow her paper and audio trail to the families in Chicago and New York for whom Vivian worked as a nanny in the 1950s, 1960s and 1970s. The parents and children, now elderly and middle-aged respectively, provide insight into Vivian’s personality and hidden life; but in the end her story remained a mystery to them as well. None of them ever saw a friend or family member or her photos, and none of them apparently ever asked about them. They hired her and sometimes fired her. Memories of a loving caregiver are clouded by recollections of abusive and strange behavior. Vivian was fond of photographing her clients’ children and their friends during memorable, madcap adventures; but she had a predilection for hoarding newspapers and padlocking her private rooms in their homes, which proved hazardous. Chicago street kids. © Vivian Maier/Maloof Collection. Maloof’s sleuthing also took him to the French Alps, where Vivian’s family had roots and where a few old timers remember her and now proudly embrace her notoriety. Throughout the film, examples of her more than 100,000 photographs reveal a strong eye for the drama and denizens of mid-century street life (especially in Chicago and New York). Her framing and sharp focus on young and old, and their juxtaposition to their immediate surroundings (reminiscent of Weegee, Henri Cartier-Bresson and Andre Kertesz) shows an especially keen sensitivity to the human condition. In addition to his Academy Award®-nominated documentary, Finding Vivian Maier, which he produced and directed with Charlie Siskel, John Maloof’s detective work and archival mission spearheaded the discovery and appreciation of a remarkable artist’s impressive body of work. 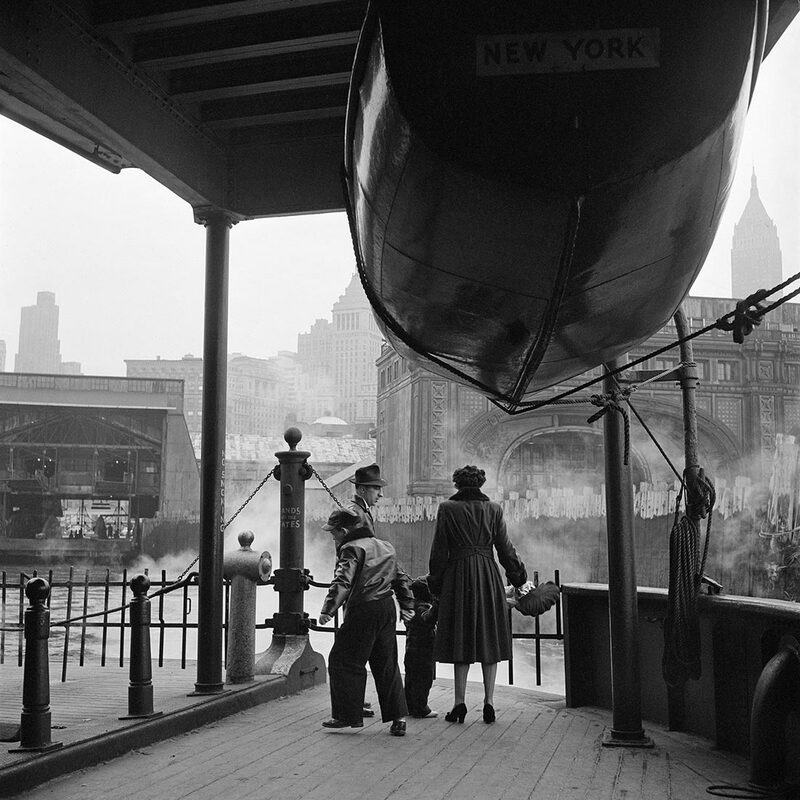 Thankfully, his destiny and Vivian Maier’s were fated to connect. With that one trunk full of film negatives bought at auction, he embarked on a journey and established a legacy that many of us take a lifetime if ever to realize. We should all be so lucky. This entry was posted in Film, Music, Photography and tagged 20 Feet from Stardom, Charlie Siskel, Darlene Love, Finding Vivian Maier, John Maloof, Morgan Neville, Music and Musicians, Photographers, Surrogate Parenting, Vivian Maier, Women's Issues. Bookmark the permalink. I’ve never heard of that Vivan Maier film before, nor have I heard of its subject. If the film got reviewed in the NY Times, it went right under my radar. It sounds really intriguing. Interesting, Judy. I’ll try to check these out. Thanks for the tip. Thanks, David. Both films are well worth it!